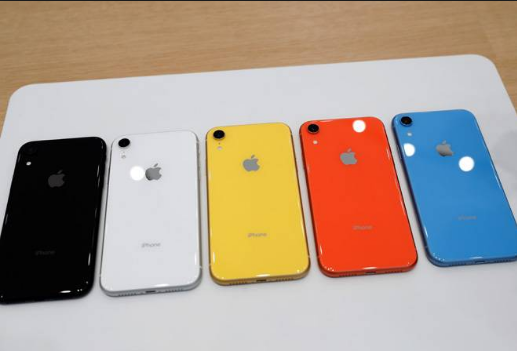 Even before Apple's new iPhone range was launched, the iPhone XR was popular among users. It was being called the low-priced iPhone. It was also told that features of XS Max will also be given in it. In this case, analysts also believed that XR will help increase Apple's sales, especially in India where Apple seems to be a bit lagging behind. But when all the rumors proved wrong, when the company introduced its new iPhone XR. This phone was introduced in India with an initial price of Rs 76,900. Despite not having features such as OLED display, 1080p resolution, dual camera and 3D Touch, it is considered to be the best phone of Apple yet. It has camera features similar to the A12 bionic chip, face ID, stereo speakers, wireless charging and almost XS Max. If this phone was launched in a lower price then it could become Apple's best-selling smartphone. If seen, Android smartphones are giving better designs, hardware and software features than this in less cost. These include OnePlus, Samsung, Nokia etc. At the same time, Apple is increasing the price of its smartphones every year, and that too without adequate design and hardware upgrades. However, many users have the craze of the iPhone so much that they are ready to buy it at a higher price. But there is no better option to buy the OLED display and dual camera phones without the price of Rs 76,900. Considering, these two features are now being offered in mid-range phones. The price of Android phones, which are being launched with better features, is decreasing and the price of good iPhones is increasing. To say, the iPhone XR is cheaper than the iPhone XS and XS Max but it is more expensive than the other phones available in the market. If you are a fan of the iPhone XR, then you have read a lot about it. The users are quite like this. Its LCD display is the best panel ever available in any phone. Its display is bright, sharp and punchy. There is no 1080p resolution in it. But this will only happen if you are watching the video. At the same time, people do not miss the 3D touch too. There is also no secondary telephoto lens. But XR is capable of taking a better image than a single lens. It has Apple's smart HDR feature. If a user is upgrading to iPhone 8 or 7 then this phone will not have more complaints. But the trouble comes here that the iPhone 7 or older models were considered to be the best handsets of their time. But it is not with XR. Because the users know that they are upgrading from the old iPhone only as an agreement.